Hey guys! Can you guess which beauty products I’m going to show you this week? I’m going to show a mini beauty haul of the products that I got for myself. It’s a good haul and worth sharing, in my opinion. It’s a lazy afternoon as I was browsing through my email and saw news of my favorite cruelty free BH Cosmetics‘ makeup products on sale. You know how I love BH Cosmetics’s products and if you’ve been following my blog since the beginning then you probably have read some of my post reviews here in my blog. I want you to picture this! I’ve been obsessed with these brushes. It all started with their 10 Pieces Sculpt and Blend Brush Set and I was hooked. I then went back and ordered their second version of the Sculpt and Blend set which I’ll share my review on the upcoming post. But today,I just want to talk about this 5 Piece brush set that I’m very excited to test them out. To be honest with you, I really like the design from this collection. It’s my third sets from this collection and I’ve high expectation on this one. The bristles are very soft and doesn’t hurt the face. The brushes don’t shed or fall out whatsoever, they’re dense, have a nice handle and they look pretty luxe. They hold onto product very well and are beautiful. Lastly, is it only me or does anyone else like brushes with numbers? I like to see brands that go an extra mile to do just that. It’s a plus in my book. Very nice face essential brush set! It includes a combination of complementary matte and shimmer shades in soft nudes, pretty pinks and deep berry. Perfect shades to wear for spring and summer! With my excitement, I did a quick swipe on my cheek with the coral shade today and I only have to apply it once, it has so much cover and pigmentation. Don’t let the intense color scares you, they’re very settle on the cheeks so it’s very buildable. All the colors are calling my name. I can’t wait to try them out and share my thoughts with you guys. So, don’t forget to stay tuned! I got mine in the shade Cabana and they’re also available in 6 different shades from apricot to berry. With my combination to dry skin tone, I appreciate face products that could gives me a dewy and fresh finishing look. So, after reading so many positive reviews on this product I decided to try it out myself. I love trying out makeup products as you may know by now and I’m very excited to give this a test. Last products I got are these sponge blenders. I’ve a confession to make, I’m hooked with beauty blenders and not ashamed to admit it. I really want to try different sponges from different brands and sizes, if you know what I mean! I also got this on sale for $5, so you cannot go wrong for that price!! The shape of the precision sponge reminds me of the Hersley Kiss chocolate which I find it super cool. I’m a sucker for anything cute and adorable so that’s how it all started. The sponges you see here are its actual size and not their maximum size. I really like to damp my sponges before working on application. I feel that the texture are really dense and not squishy but has bouncy texture to it, if that make any sense. It has a different feels to some of the beauty blenders I’ve tried. Here are the 3 palettes I got for FREE. Yes, it’s crazy right! But that’s the truth. BH Cosmetics always has that sales, deals, promo codes and they send you coupon if you subscribed to them. When they finally arrived, I’m like yes, come to mama! 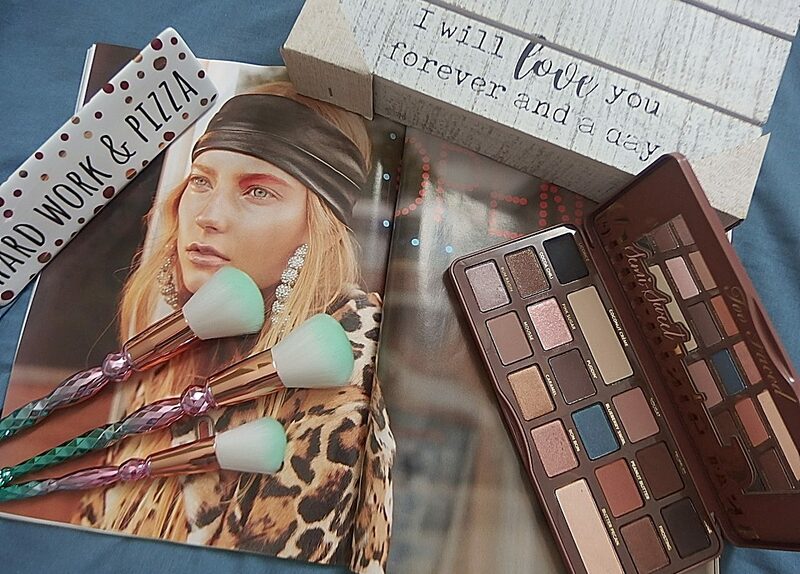 I can’t say no to eyeshadow palettes and a lip palette that’s cherry on a cake. You know what, they’ve made my day! SO HAAAAAPPY!!! Anyways, I’m going to do a road tests and report back of what I think later on my blog. Don’t forget to check back or subscribe to my blog to get notification of any upcoming posts. In the meantime, check out on my Instagram for the look I created. What are your favorite makeup products from this mini haul? Sound off in the comments! Thanks so much for stopping by and read. Hope this mini haul is helpful. Until next time, take care. Happy Hauling! Great review- thanks! I think good quality brushes are insanely worth it so now I have a new brand! What a great haul. I’m always looking for great natural and cruelty free cosmetics. The blush looks beautiful and so do the brushes. Thanks for sharing. I’ve just started getting into this brand! I’ve really been loving it. Those eyeshadow palettes are great for traveling! Welcome on board! This is a good brand with affordable pricing and quality. Whoa nice! Glad that I can find some new make up to try! Thanks for sharing this! Glad this helps! Thanks for stopping by Marina.